Below you fill find all funeral homes and cemeteries in or near Woodstock. 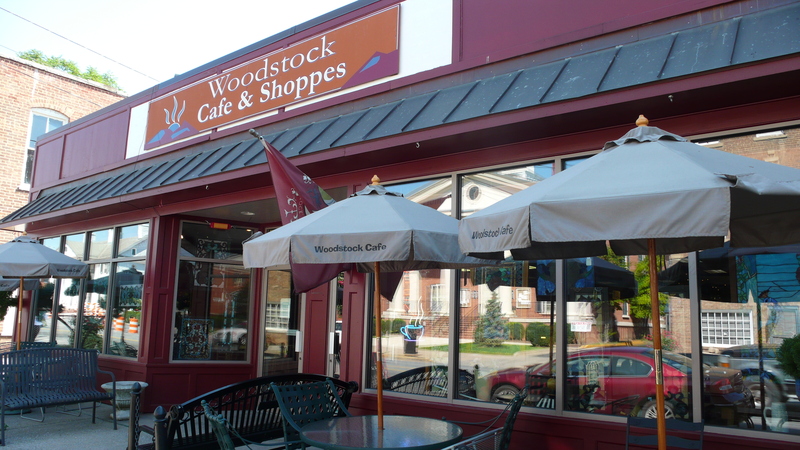 Woodstock is also known as: Shenandoah County / Woodstock town. Zip codes in the city: 22664. Shenandoah County funeral flowers can be purchased from one of the local funeral shops we partner with. Some of the notable people born here have been: Mack McCarthy (coach), and Evan Shields (actor). Woodstock is a town in Shenandoah County, Virginia, United States. It has a population of 5,097 according to the 2010 census. It is the county seat of Shenandoah County.The Massanutten Military Academy is located in Woodstock, as is the national headquarters of Sigma Sigma Sigma sorority. Woodstock is also home to the River Bandits of the Valley League. It was reported on January 30th, 2019 that Mary Nolan (Bosley) passed away in Woodstock, Virginia. Ms. Nolan was 95 years old and was born in Lundale, WV. Send flowers to express your sympathy and honor Mary's life. It was disclosed on January 4th, 2019 that Newton Tandy Sr Hurd died in Woodstock, Virginia. Hurd was 83 years old and was born in Maynor, WV. Send flowers to express your sorrow and honor Newton Tandy Sr's life. It was disclosed on March 21st, 2017 that Wilda Mae Jennings (Shaver) passed on in Woodstock, Virginia. Ms. Jennings was 82 years old and was born in London, WV. Send flowers to express your sorrow and honor Wilda Mae's life. It was noted on April 28th, 2016 that Cullen J Mixen passed away in Cleveland, Ohio. Mixen was 32 years old and was born in Woodstock, VA. Send flowers to express your sympathy and honor Cullen J's life. It was reported by Tampa Tribune on May 9th, 2014 that Marvin Richard "Charlie" Ritenour passed away in Lakeland, Florida. Ritenour was 59 years old and was born in Woodstock, VA. Send flowers to share your condolences and honor Marvin Richard "Charlie"'s life. It was noted on December 18th, 2013 that Janet Patricia Fairbank (Kapherr) died in Woodstock, Virginia. Ms. Fairbank was 72 years old and was born in Teaneck, NJ. Send flowers to share your condolences and honor Janet Patricia's life. It was disclosed by Orlando Sentinel on October 3rd, 2012 that Philip A Sager passed away in Orlando, Florida. Sager was 93 years old and was born in Woodstock, VA. Send flowers to share your condolences and honor Philip A's life. It was disclosed on March 21st, 2012 that Janice Murphy (Edgar) passed away in Woodstock, Virginia. Ms. Murphy was 80 years old and was born in Winston-Salem, NC. Send flowers to share your condolences and honor Janice's life. It was noted on January 29th, 2012 that Joanne F Yarnall (Gonzalez) passed on in Woodstock, Virginia. Ms. Yarnall was 78 years old and was born in Bronx, NY. Send flowers to express your sorrow and honor Joanne F's life. The Town of Woodstock has been the County Seat of Shenandoah County, since the County's formation in 1772. Central High School, the town's public high school was built in 1800 and much of the original building remains intact as the students learn about the history of the town through the carvings remaining on the log posts. It is the county seat of Shenandoah County, Virginia County . The Town was established by charter in March of 1761 as a part of what was then Frederick County. The Town's charter was sponsored by George Washington in Virginia's House of Burgesses. It has a population of 3,952 according to the United States Census 2000 census. Listing all funeral homes in Woodstock, Virginia so you can easily send flowers to any location (same day delivery) or find any funeral service. Listing all funeral homes in Woodstock, Georgia so you can easily send flowers to any location (same day delivery) or find any funeral service. We work with local florists and flower shops to offer same day delivery. You will find budget sympathy flowers in Woodstock here. Our funeral flowers are cheap in price but not in value.